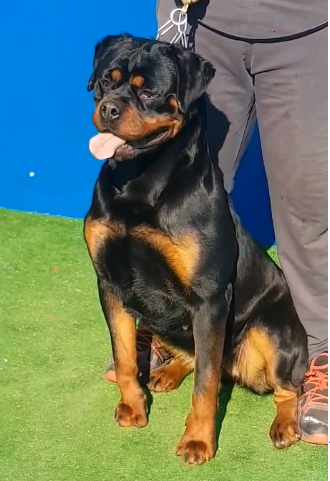 Grace haus of Lazic is a extremely large Rottweiler female youth at 20 months old. Heavy bone and substance makes this female look intimidating. Grace is a combination between male Rottweiler stud Monsoon haus of Lazic and female Rottweiler Patia haus of Lazic. Patia is out of ADRK Ch Hero von der Tonberger Hohe who is still one the most famous Rottweilers in Germany. Monsoon is the son of famous Lennox haus of Lazic.